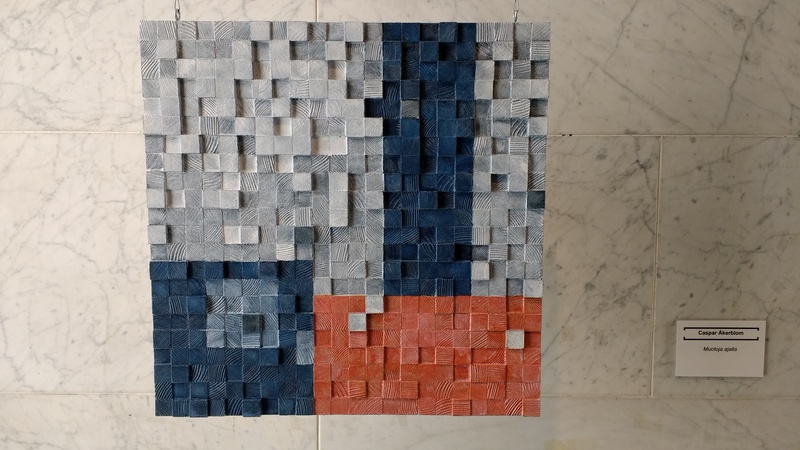 Architecture students from the Aalto University in Espoo exhibited their results from a course in arts on the theme “Being human”. I went to see it on the last day. The artwork of “normal” people in Finland (as opposed to “declared” artists, that is) has always impressed me and it did so again. 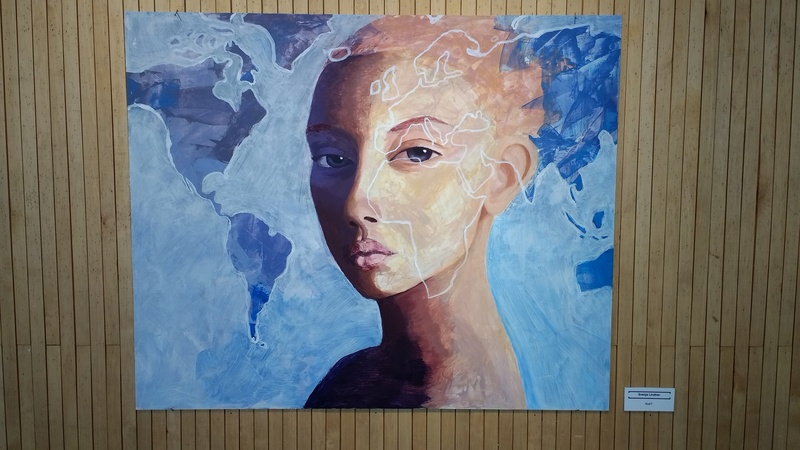 The following painting by Svenja Lindner named “koti?” touched me, as I can very much relate to the question of “home?” myself, after many years abroad and not really belonging anywhere. In addition, with millions of people spending their lives in refugee camps as well as the destruction of neighbourhoods and the natural environment almost everywhere, the question of “home” gradually seems to take on global dimensions. Another human question, kind of “who am I”, builds the foundation for this work of art named “Omakuva”. 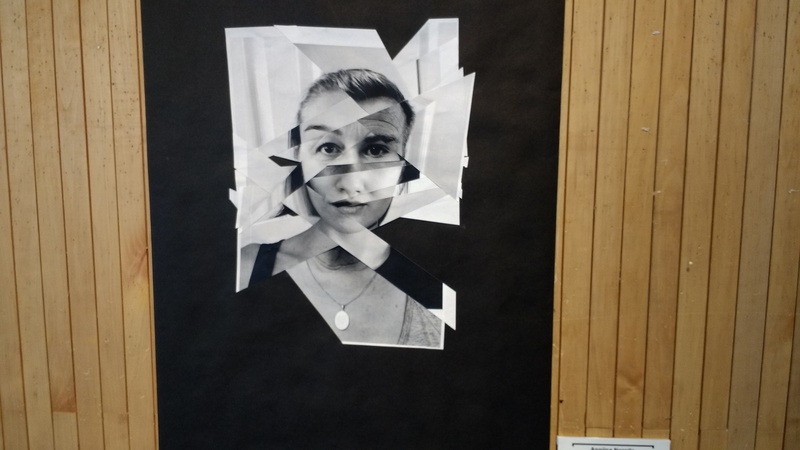 A “Self-image” resembling the artist Anniina Norpila but composed of photographs from relatives, not containing a single piece of a photograph of herself. 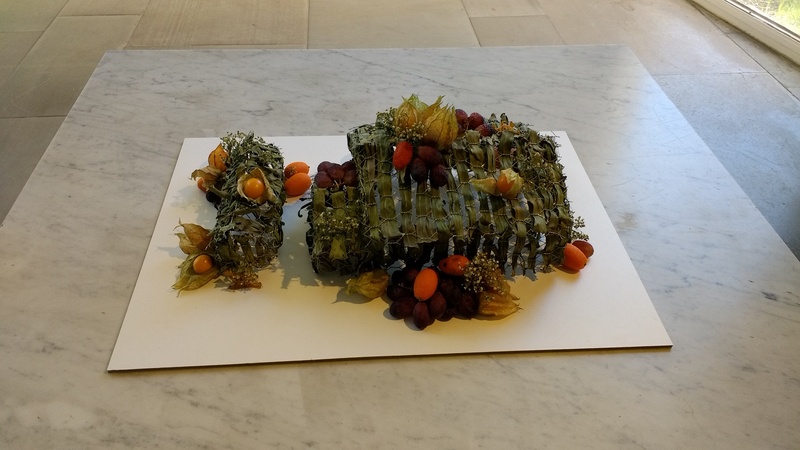 At least one of the architecture students, Suvi Kallio, chose an architectural topic, a cute little home made of grass, fruits and wire. This cute little box camouflaged as a medication package, but the titles suggest some major philosophy by Janina Hedström. 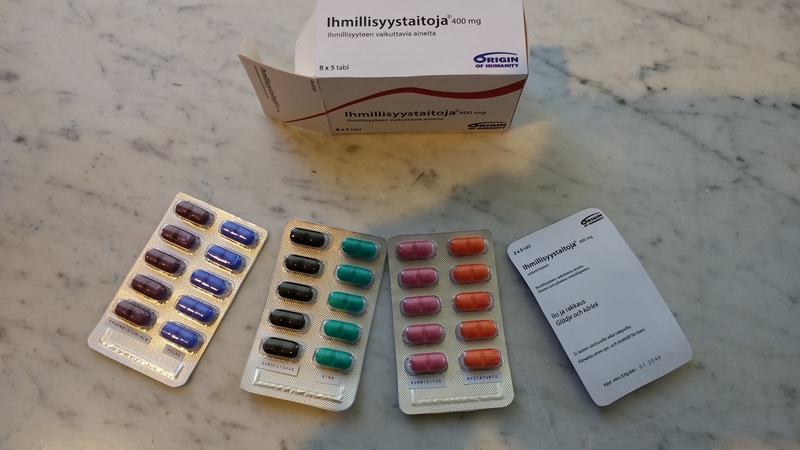 The package is named “Ihmillisyystaitoja”, which I would translate as “skills of humaneness” or “capabilities of humanity”, the subtitle saying: substances influencing humaneness; as there are from left to right: failure, fear, sadness, hatred, respect, empathy and finally joy and love. Caspar Åkerblom designed this interesting wooden piece of art called “muotoja ajalla” (not sure how to translate this or if at all, something like “appearances of time”). 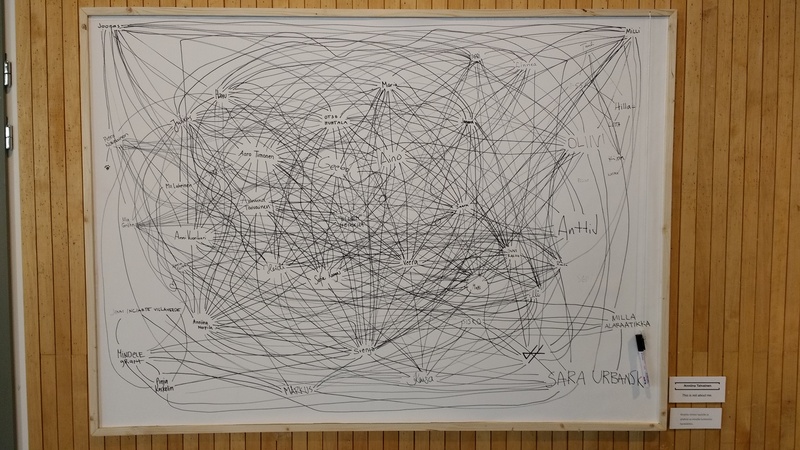 An example of “action art” was the following whiteboard, where everybody could write their name and connect with a line to everybody else they knew on the board. There were much more exhibits and I hope that many people went to see them, but I am not sure how much attention is given to this type of exhibition. I really enjoyed going there and I am glad it was brought to my attention.